← Russian People want Putin To Stay? I was drinking my morning cup of coffee and was thinking about Russia, That they are reminding the world that they never really quit the cold war. I was correct in my earlier posts, that Russia has just been getting their ducks in order so to speak! 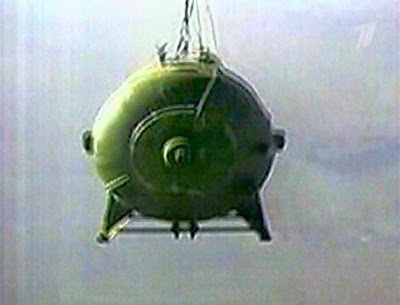 The Russians call it “The Father of All Bombs!” A vacuum bomb that uses fuel-air explosive, a technology in which special fuel is first sprayed over the target area before it is primed by a small explosion. The result is a huge blast with very high temperatures in the center and extremely powerful shock waves. The Russian bomb is stated to be four times more powerful than the MOAB made by the USA. 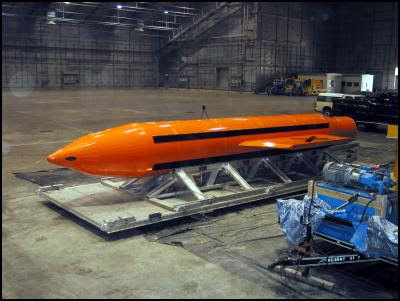 The new bomb is not officially named and does not violate any international treaty. One reason it does not violate any treaty is because it is a bomb that until now was thought to be impossible to build. Due to its air dispersing properties. The Russians say that advanced Nano technology has been used in the design. So here are my thoughts, The Russians are not sitting back and letting the USA just be the only ones to play with Army Toys! The Russians are very much into development and restructuring the Armed Forces. The Russians hope that the USA will listen to the hype and noise that obscures the reality and give them the time to complete the restructuring of its internal systems. Just my 2 Rubles worth.